One of literatures most irresistible young heroinesthe novel that inspired the Netflix series Anne! Sent to Green Gables farm by mistake, eleven-year-old orphan Anne Shirley prays that Matthew and Marilla Cuthbert will decide to keep her nevertheless. The middle-aged brother and sister wanted a boy to help around the farm; a skinny girl with bright red hair and a fiery personality to match is not at all what they need. But Annes quick wit and boundless imagination, developed over a lifetime spent in and out of orphanages, soon charm the Cuthberts and their Prince Edward Island friends and neighbors. The story of a special young girl finally finding her home, Anne of Green Gables is a masterpiece of childrens fiction and a true delight for readers of all ages. L. M. Montgomery (18741942) published her first short story at age fifteen. 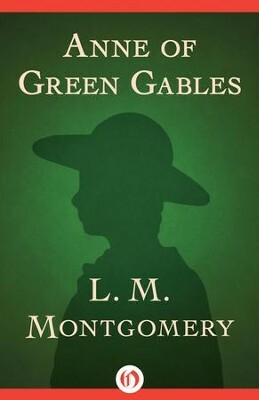 Her debut novel, Anne of Green Gables, was an immediate success and allowed Montgomery to leave her career as a schoolteacher and devote herself to writing. She went on to publish seven sequels starring Anne Shirley and numerous other novels, short stories, and essays. I'm the author/artist and I want to review Anne of Green Gables - eBook.